I have made a very small bugfix release of Kapow, version 1.5.2. The only change is that reports now properly handle commas in the totals, so for all non-English speakers it should now report the correct values. Enjoy! And another project rises from the ashes like a phoenix: I have finally made a new feature release of Kapow, version 1.5.0! There are not a whole lot of user-visible changes, but some very important code cleanup happened. The most noticeable changes are that you can now start, stop, or cancel sessions by right-clicking on the sidebar. It also prevents you from removing a project that has a timer running in a subproject. Enjoy! I just made a bugfix release of Kapow, version 1.4.3, that fixes some minor bugs. The timer is no longer restarted when you press enter in the task line edit. I also fixed the broken command-line arguments, and you can now specify the settings INI file. This release also includes a Greek translation by geogeo.gr. 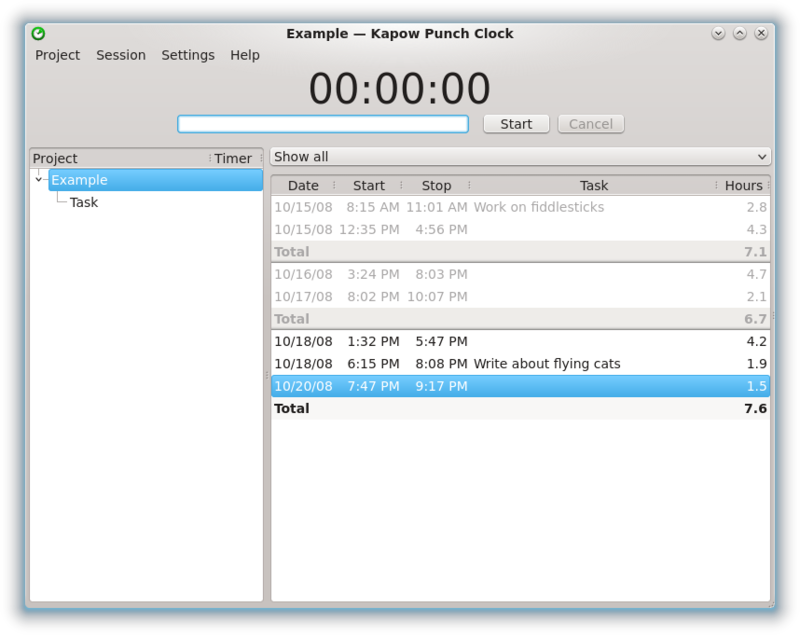 I have finally finished a feature release of Kapow, version 1.4.1. This release includes an improved user interface as well as faster file loading. You can read about the features in more detail here. Enjoy! Update: I just discovered that the brand new totals rows are broken, so I recommend turning on the report column until I get it fixed. Ideally that will be later tonight. Sorry! Update 2: And the fixed version is now released! 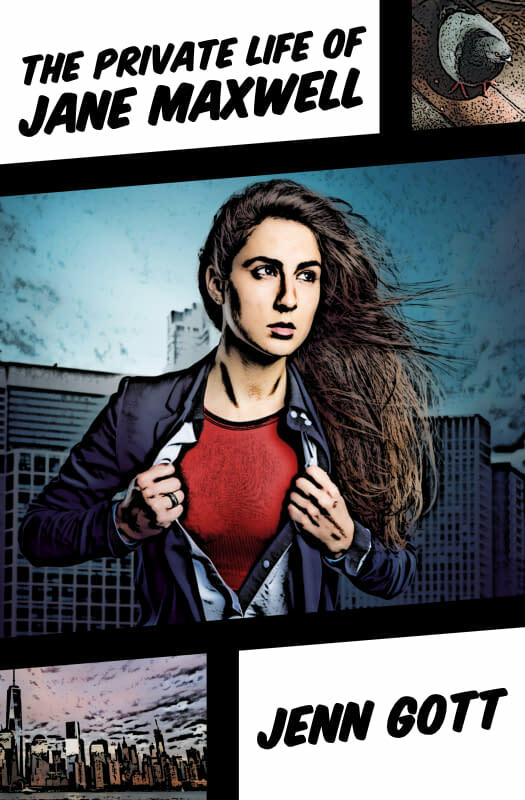 I have made some changes to the development version of Kapow while I have worked on FocusWriter, but I haven’t blogged about what I have been up to. I figured that I should remedy that! First and foremost I have been working on making the user interface more comfortable. A small change, but larger difference in actual use, is that you can now set (and even change) the task of a session before it is finished. The task field starts focused, so all you have to do is type in a task and press enter to start a session. I have never been too happy with the “Billed” column, so I have renamed and hidden it for new installs. To make the report concept more clear I have added a row below the last row of each report that contains its totals. I have also added a menu action called “Create Report…” that is the same thing as checking the billed box for a row. A common request has been to be able to export reports. I have added support for exporting a report as an HTML file, as well as exporting the time data of a report as either an iCalendar file or a file of comma separate values. I have made a variety of other, smaller changes. For instance, you can now specify the data file on the command-line. I have also dramatically sped up loading the data file, which helps reduce program start time quite a bit. On my computer a large test file went from taking around 1 second to a mere 15 milliseconds, and on my slowest test computer it went from 3 and a half seconds to only 120 milliseconds.